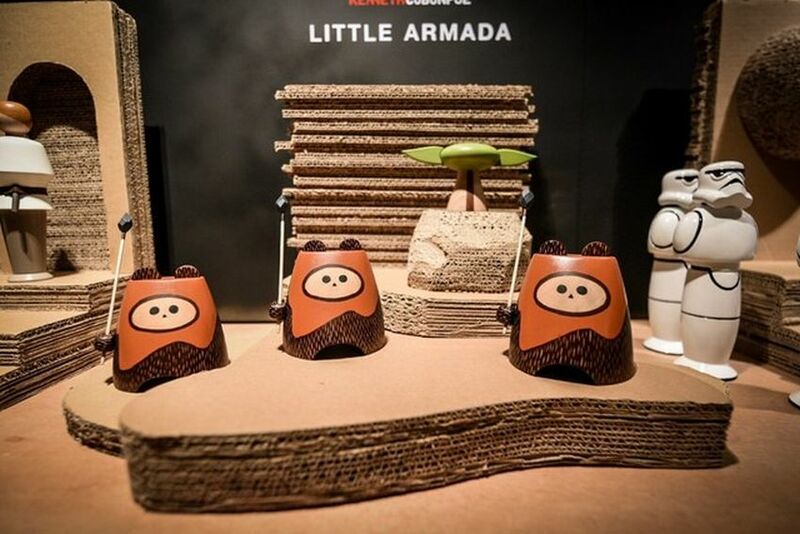 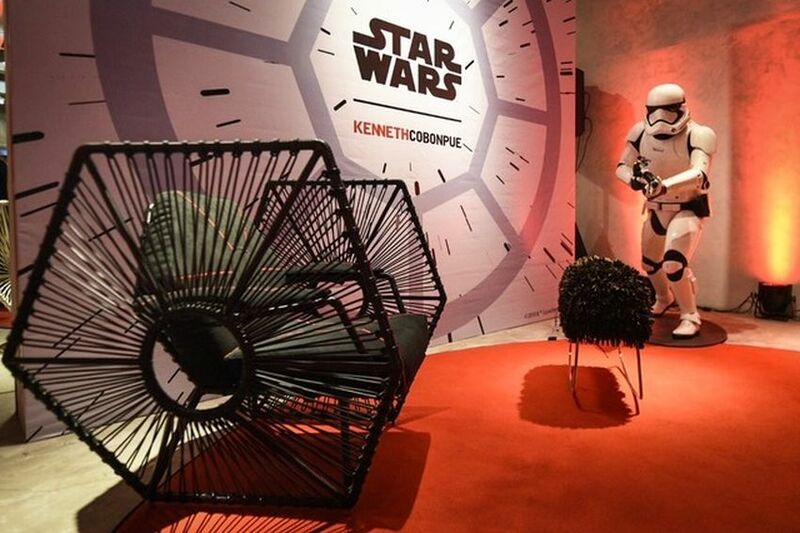 Disney, the owner of the “Star Wars” franchise, has commissioned the world-renowned Filipino industrial designer, Kenneth Cobonpue to create a Star Wars furniture collection. 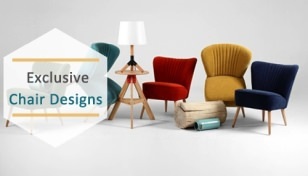 Released on October 10, this brand new furniture collection includes three easy armchairs, a rocking stool, and a hanging lamp inspired by iconic characters and elements from the movie. 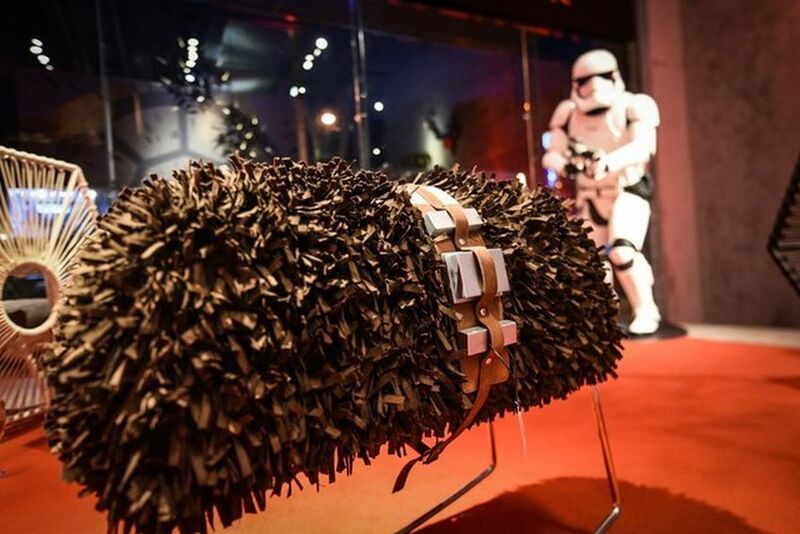 From Darth Vader armchair and Imperial Wings armchair to Chewie stool and Yoda Ottoman, there are a range of items in the collection. 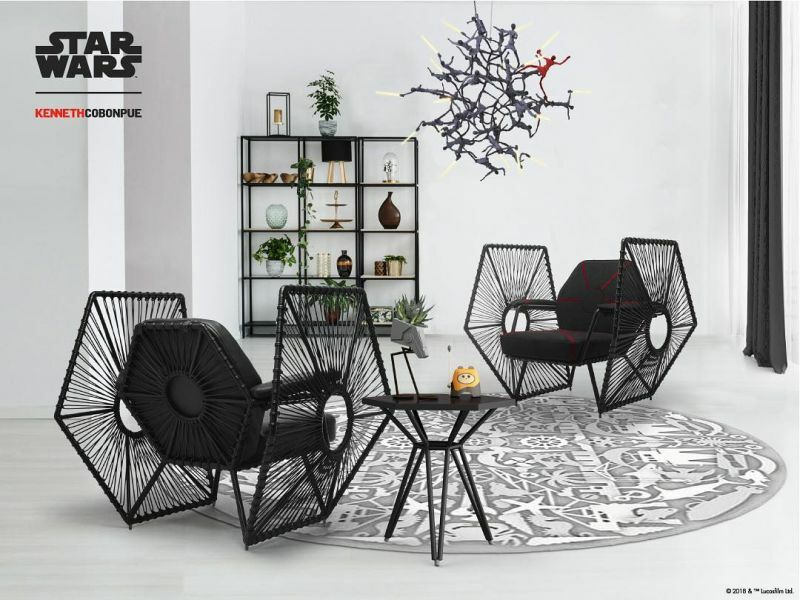 It is perfect for Star Wars enthusiasts wanting to build a galactic empire at home. 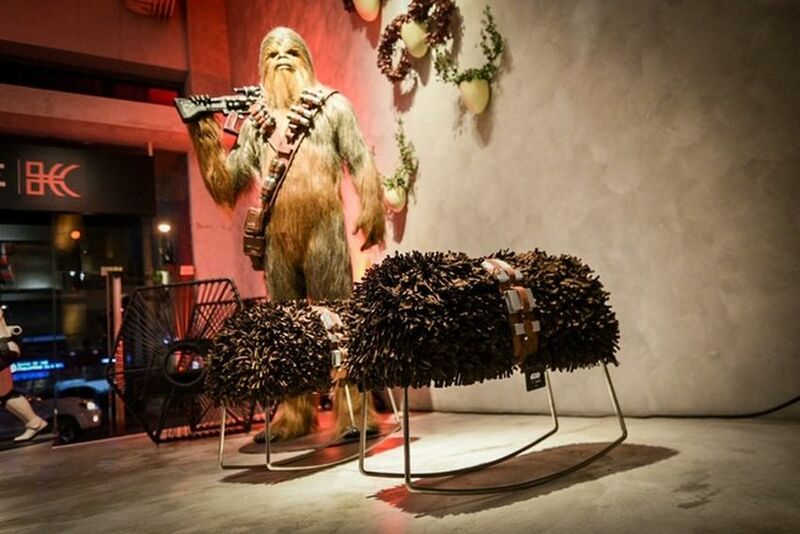 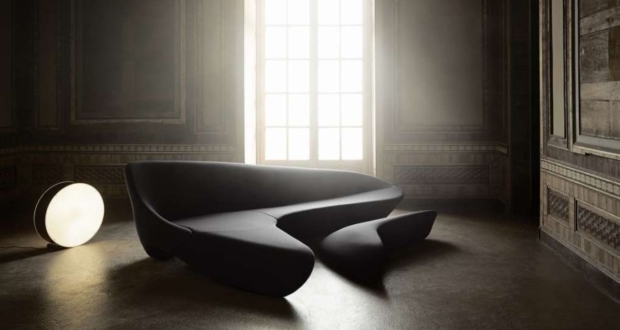 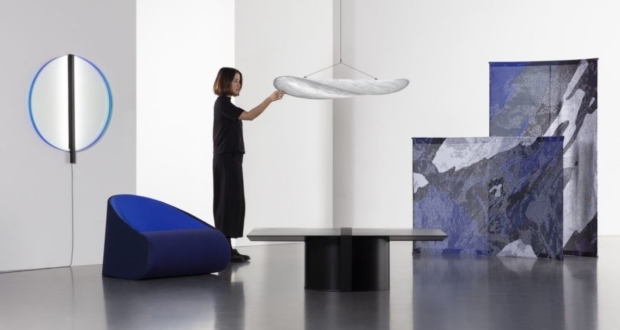 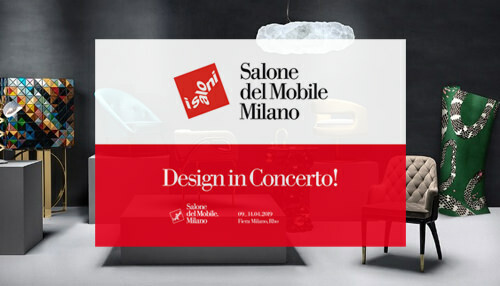 Cobonpue himself is a big fan of Star Wars since childhood, which helped him create otherworldly furniture, reminiscent of some of the famous characters from the sci-fi movie saga. 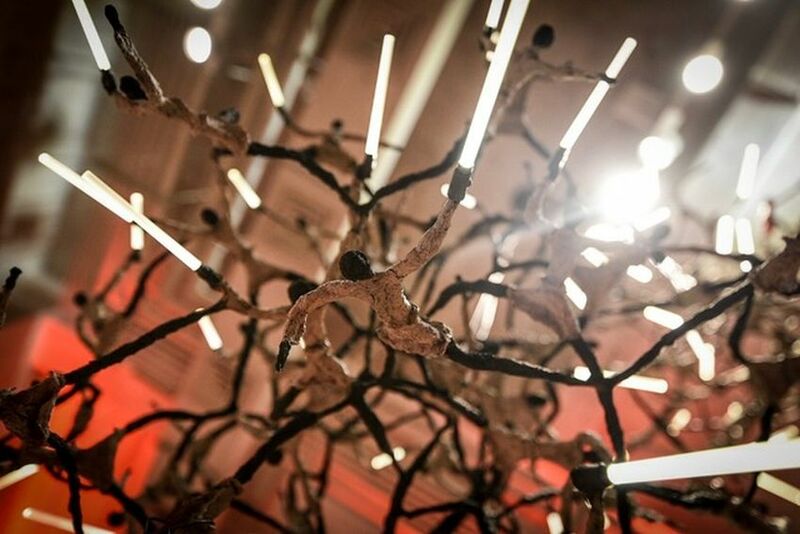 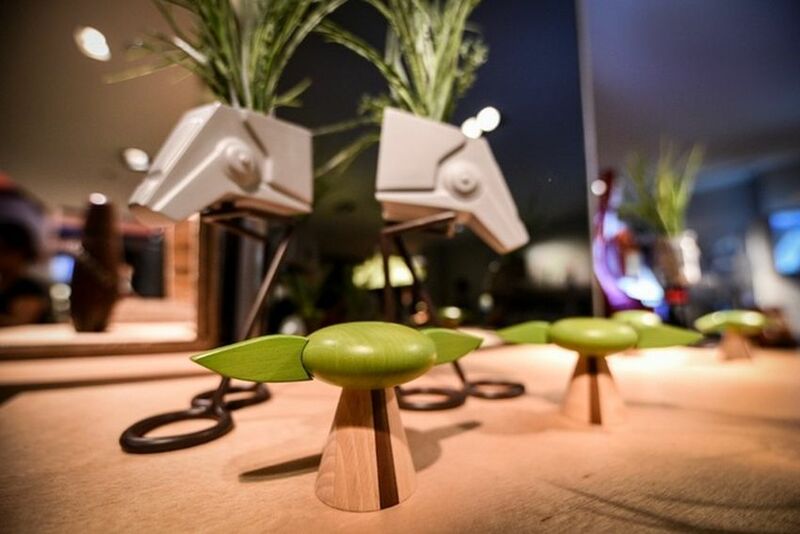 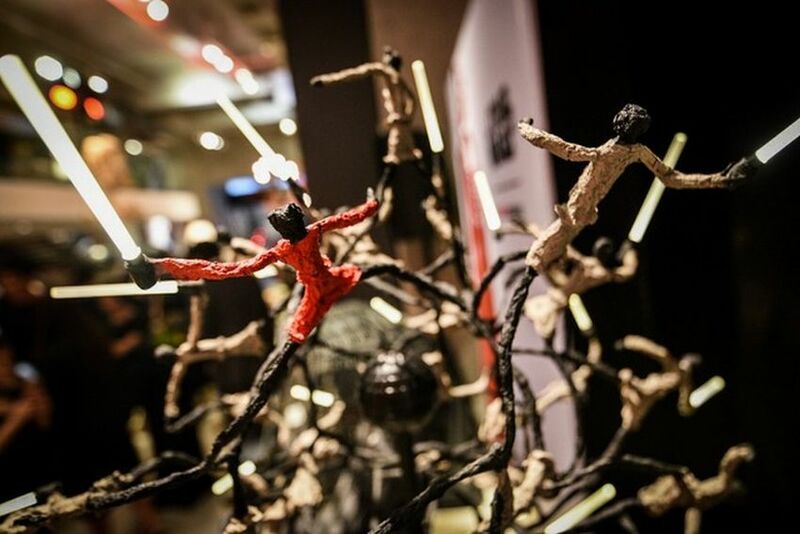 The designer also created out-of-the-world Little Jedi hanging lamps from steel and salago fiber. 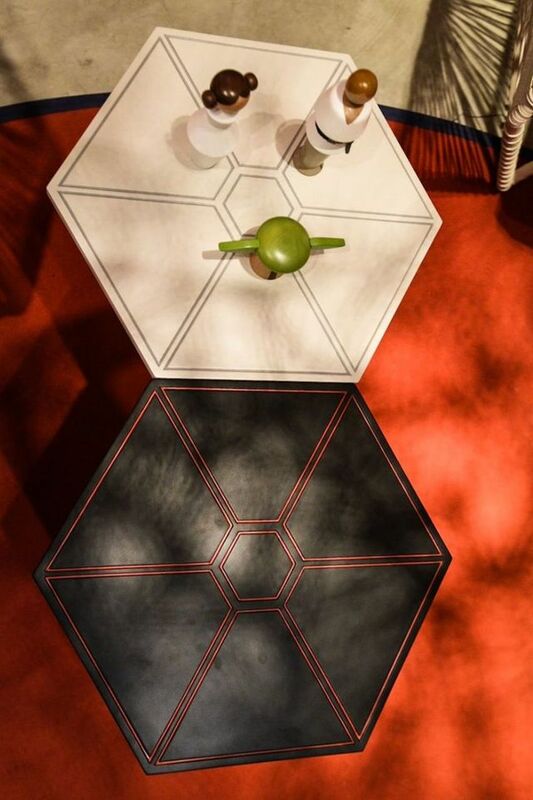 In an interview on ANC’s “Headstart,” Cobonpue mentioned that the new Star Wars-inspired furniture collection will only be available in the Philippines for now. 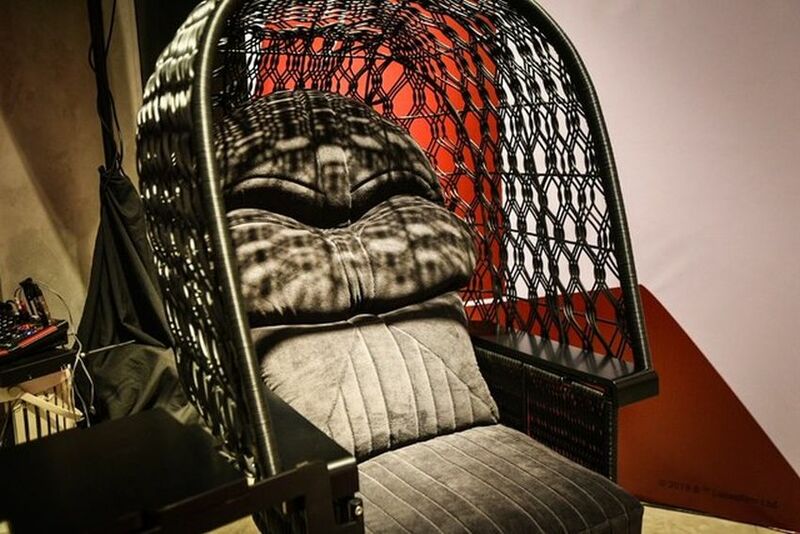 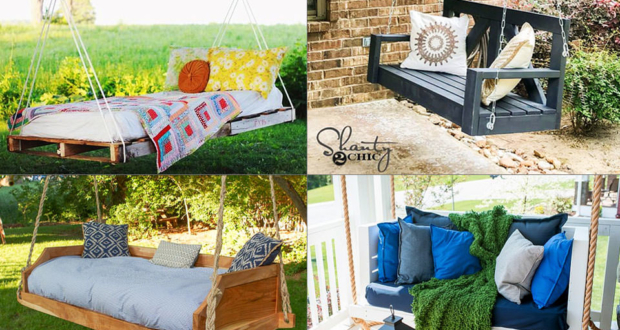 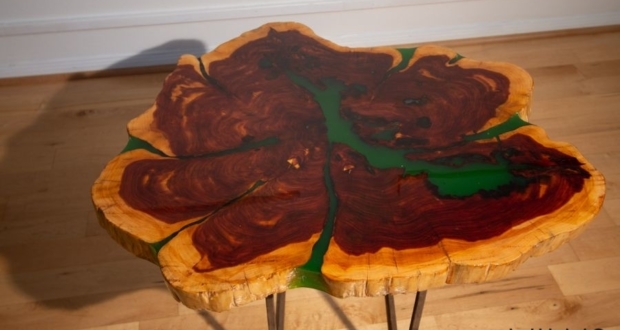 However, people all around the world who have heard about it are curious to see what the furniture looks like. 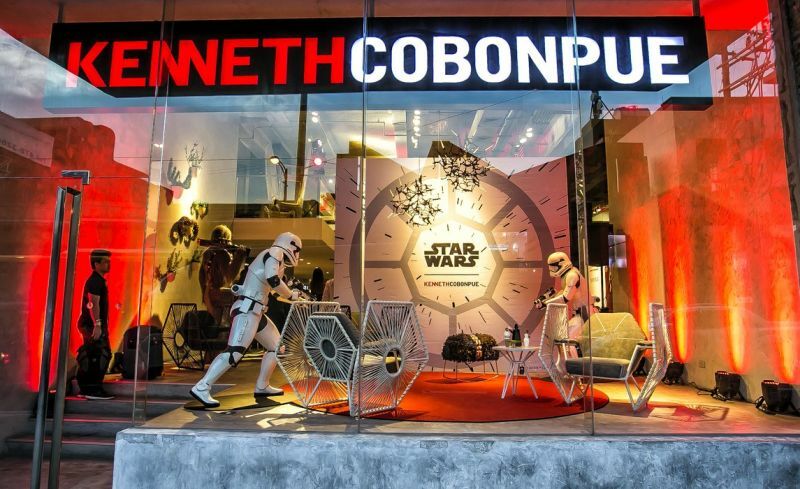 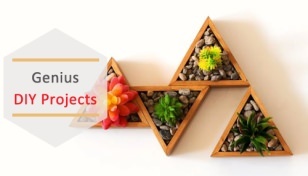 Kenneth Cobonpue has showrooms in Manila, Cebu and many other Asian countries. 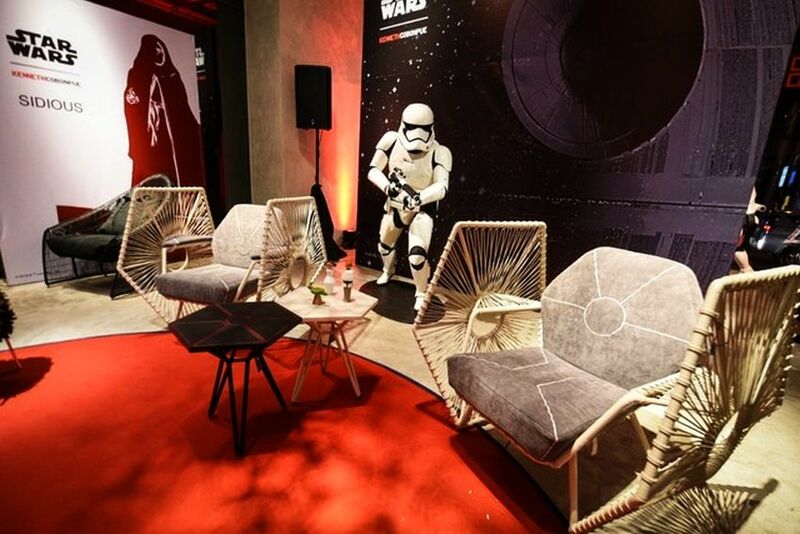 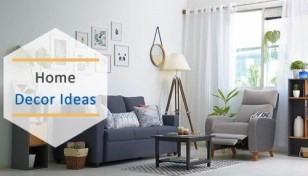 If you’re interested in buying these outstanding Star Wars furniture units, you can visit any of these showrooms and deck up your home just like your favorite Star Wars characters would do. 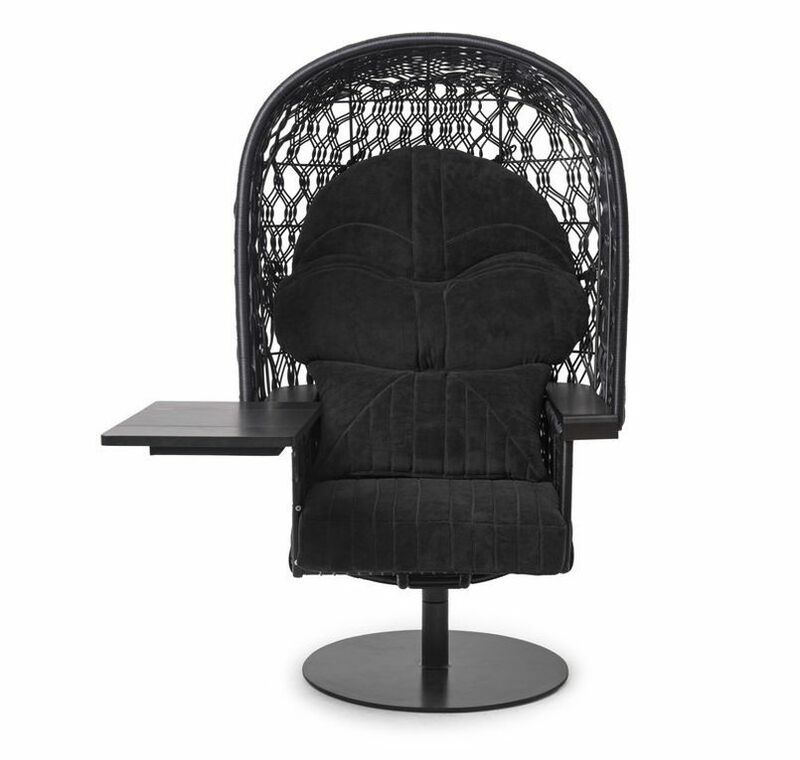 Featuring a foldable swivel table and an open weave canopy, this armchair combines work and comfort, making it double duty in function. 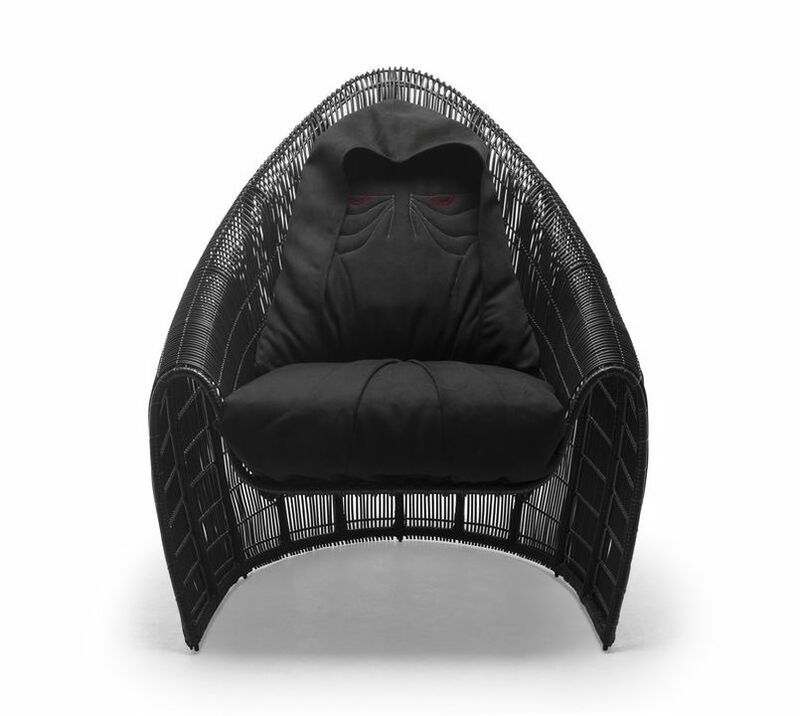 Its seat cushion resembles Vader’s mask made by meticulous stitching. 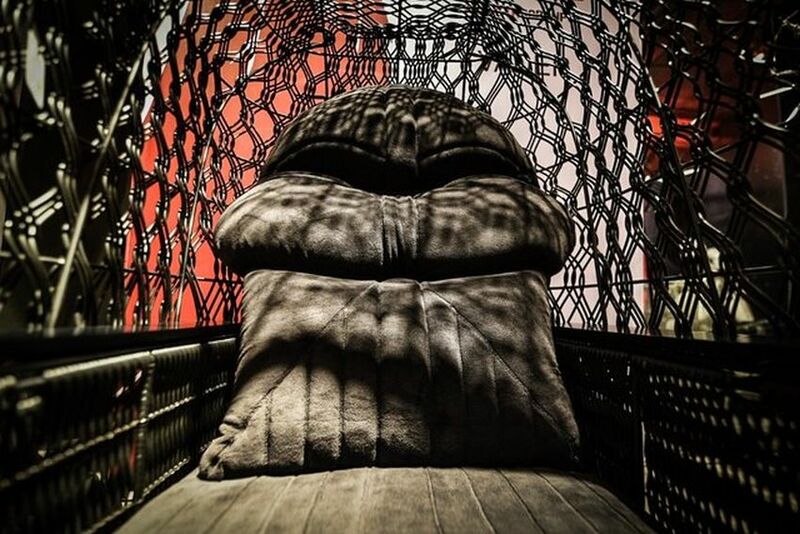 It is your private sitting pod to have a cup of tea and work by side. 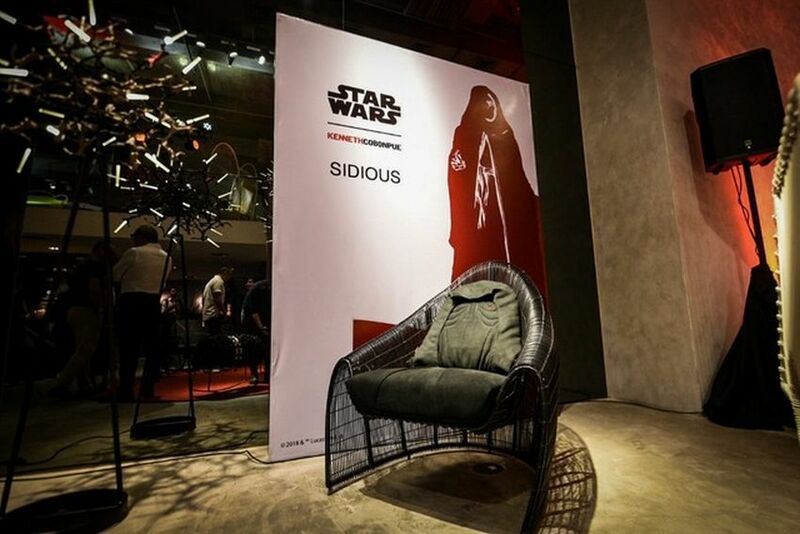 To achieve looks of Darth Sidious, this easy armchair has a backrest resembling a hood and slightly curved forward legs. 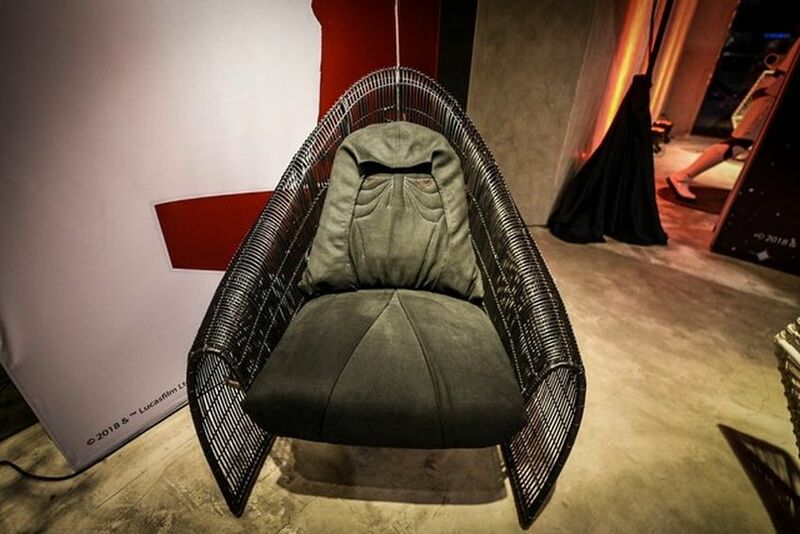 It imitates powerful and formidable looks of Sith Lord. 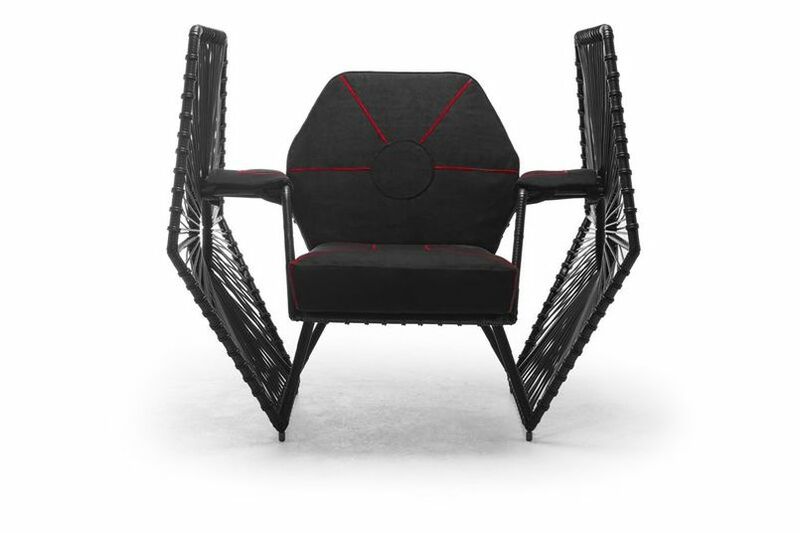 Inspired by the TIE fighter, the Imperial Wings armchair features handwoven polyethylene wings on two sides. 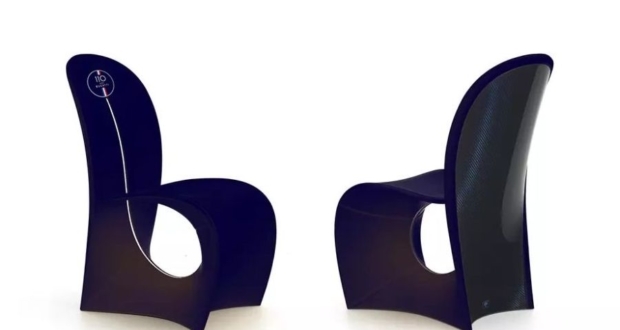 They work like privacy screens. 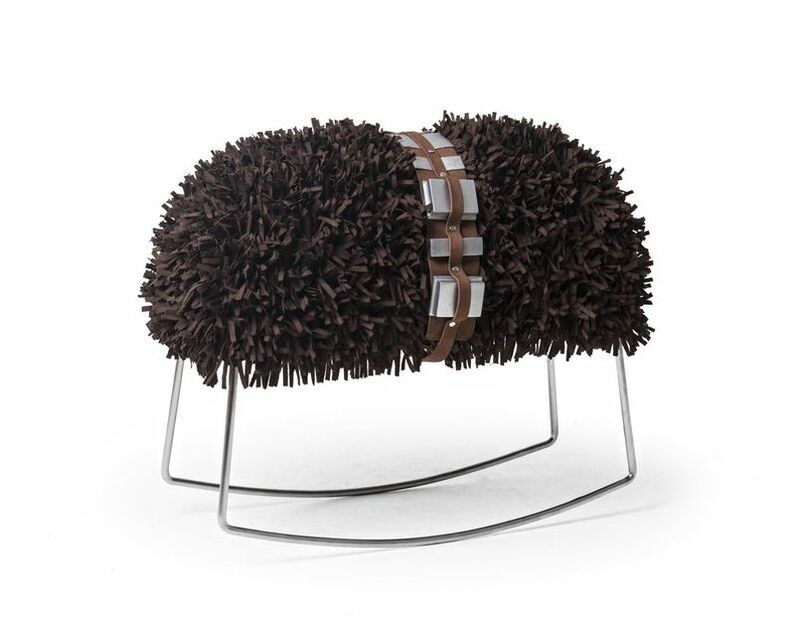 Sitting on a shiny metal base, this rocking stool is covered with microfiber strips, colored brown to emulate Chewbacca’s hairy body. 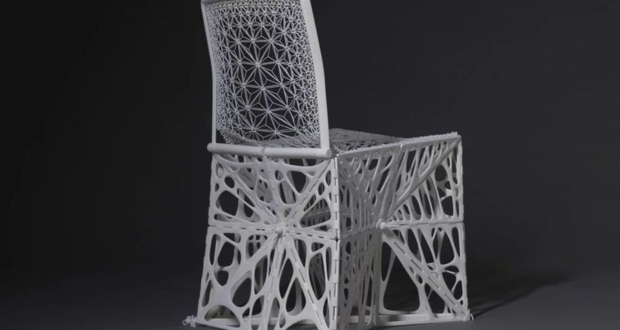 The unique appearance of the rocking stool reflects the playfulness. 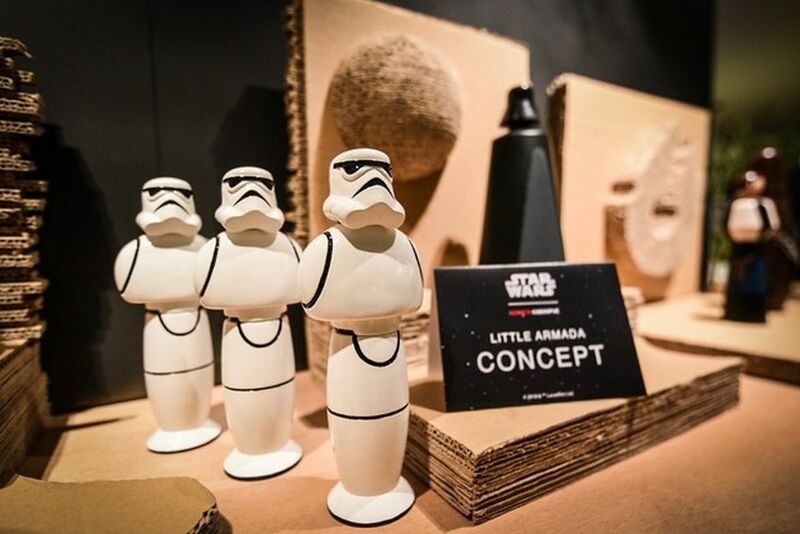 Little Jedi hanging lamps consist of steel and salago fiber applied by hand. 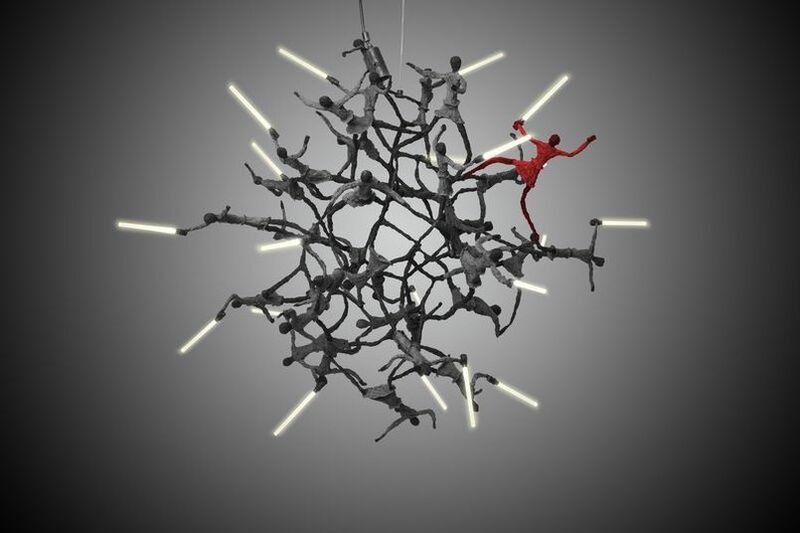 There are miniature figurines of Jedi Knights holding lightsabers as a light source of the lamp. 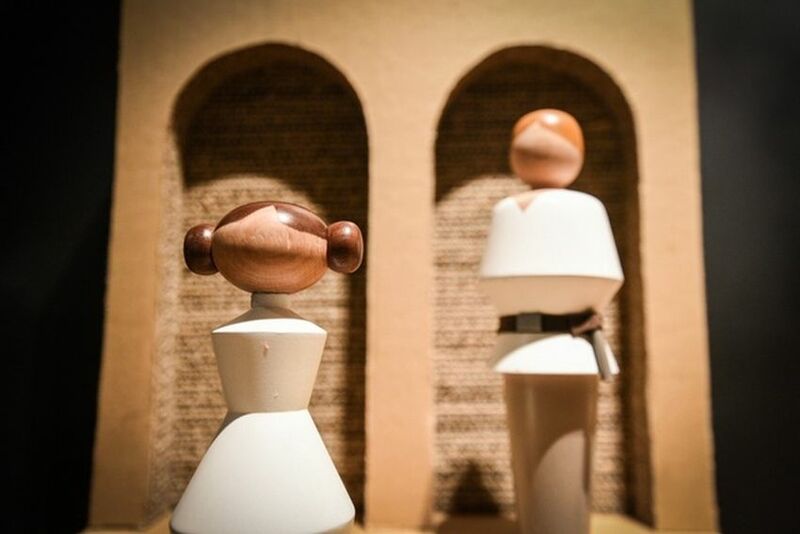 The red figurine symbolizes the Sith Lord.